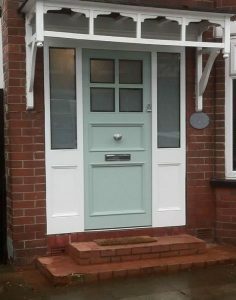 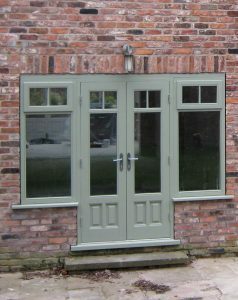 All our long lasting Accoya products are all guaranteed for 50 years and all of our guarantees are backed by the GGFI. 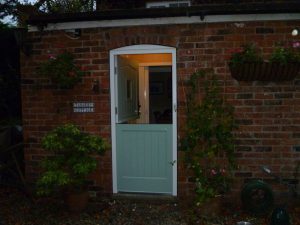 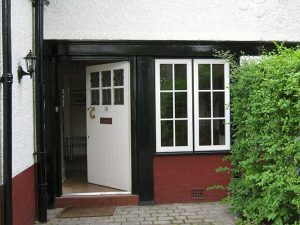 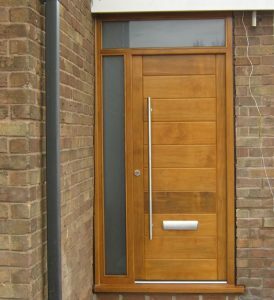 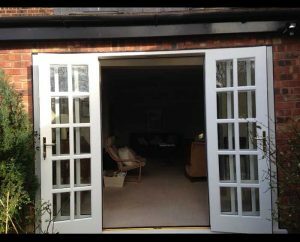 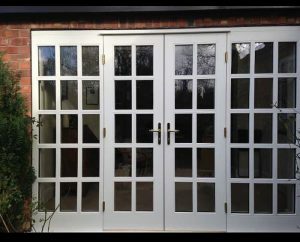 Beautiful, sustainably sourced, hardwood entrance and patio doors. 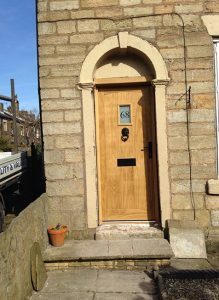 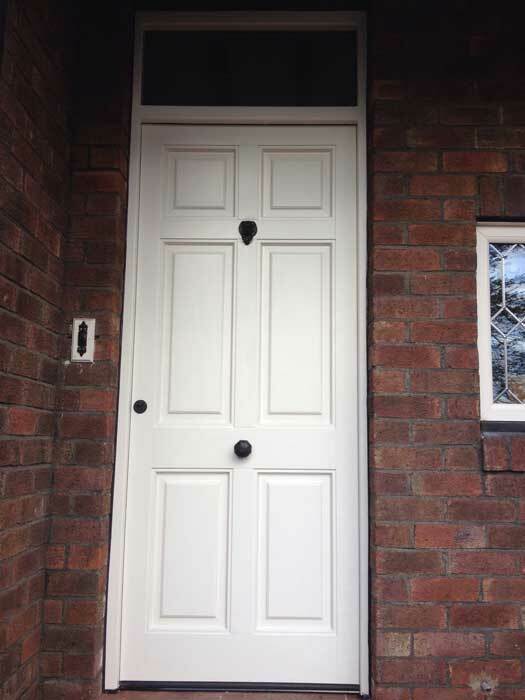 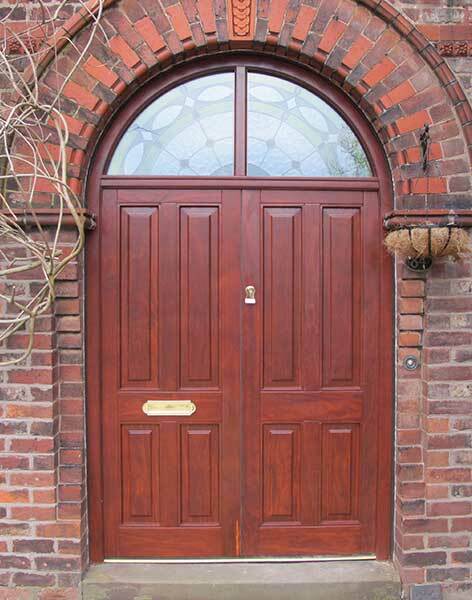 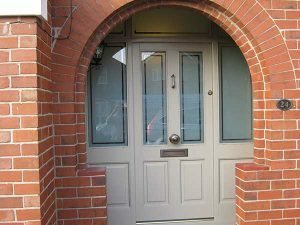 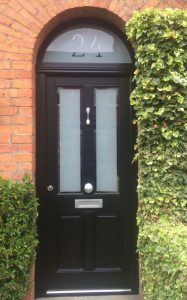 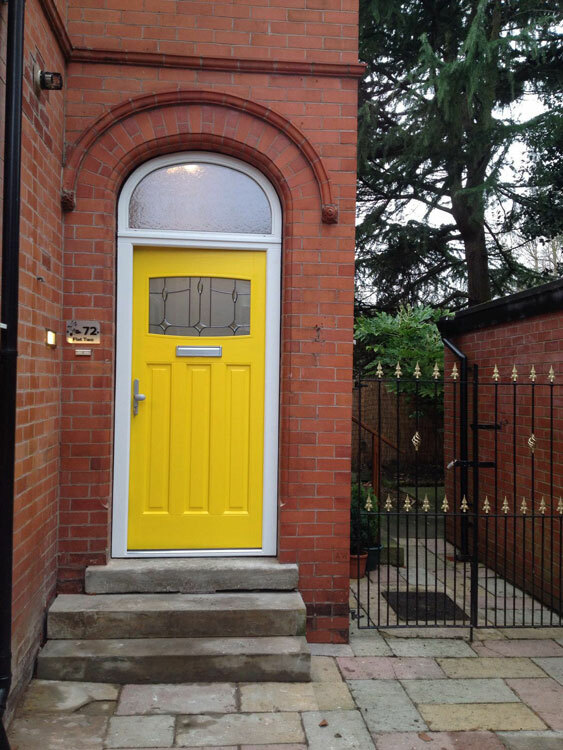 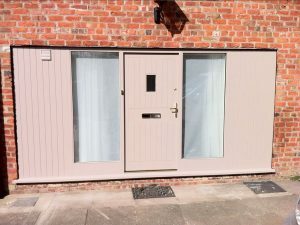 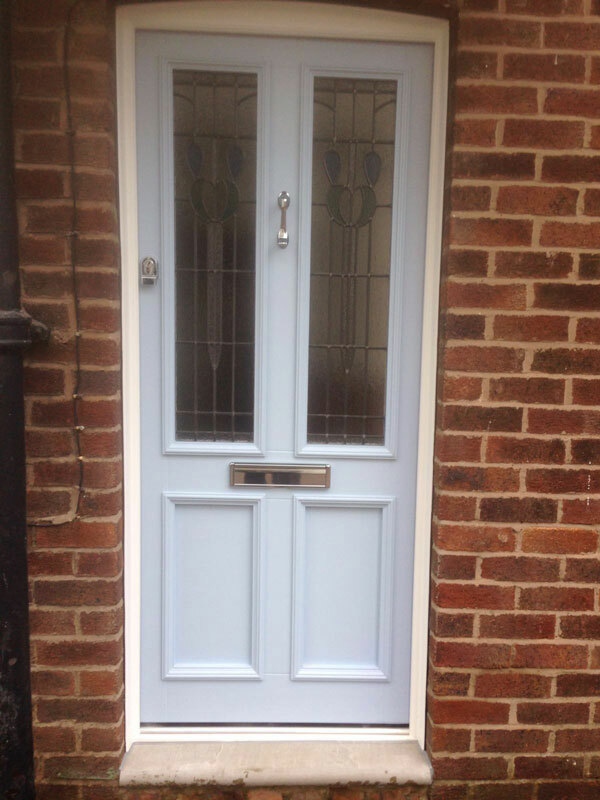 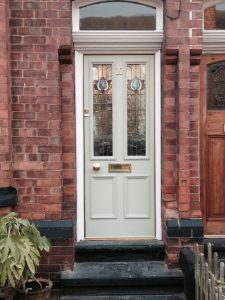 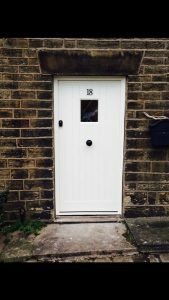 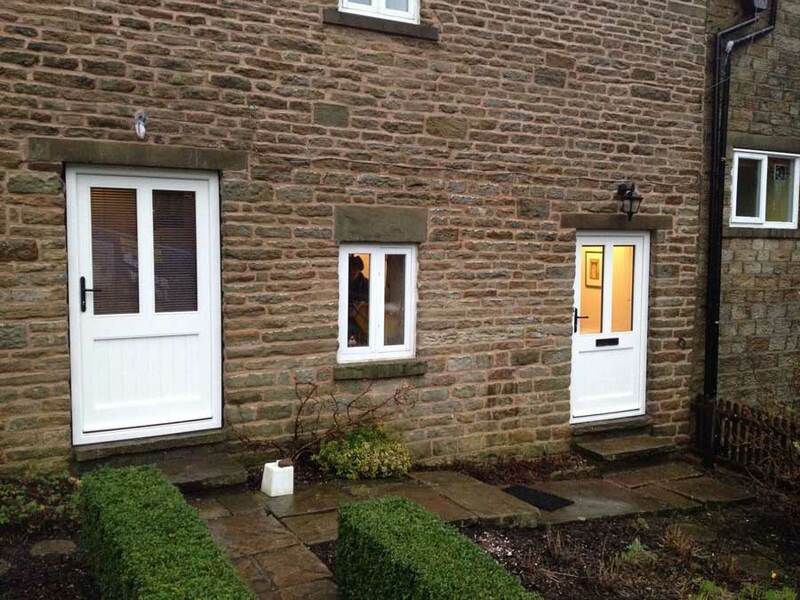 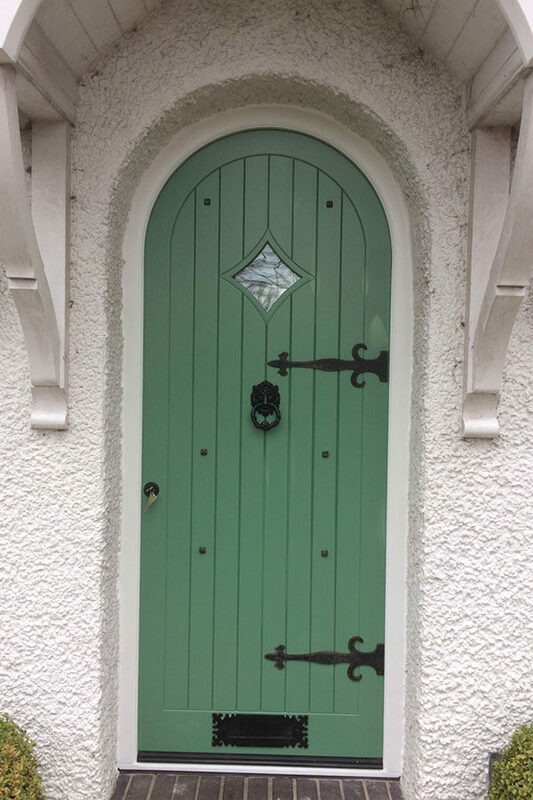 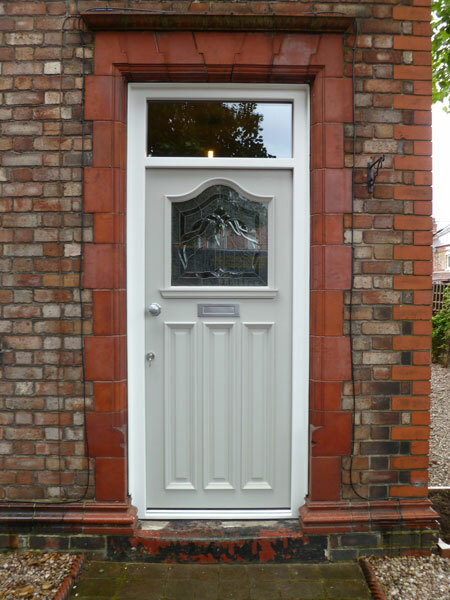 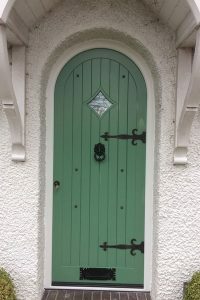 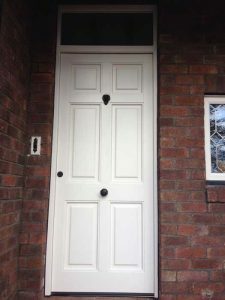 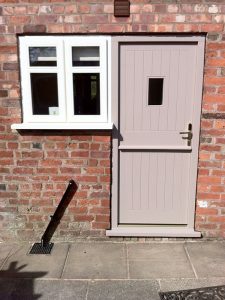 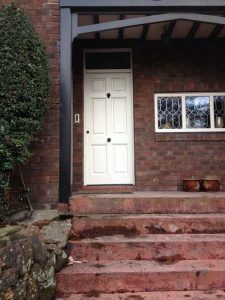 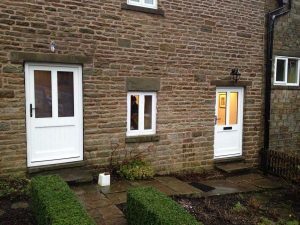 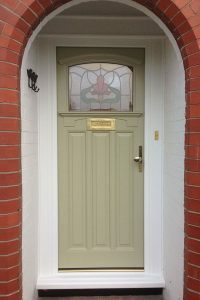 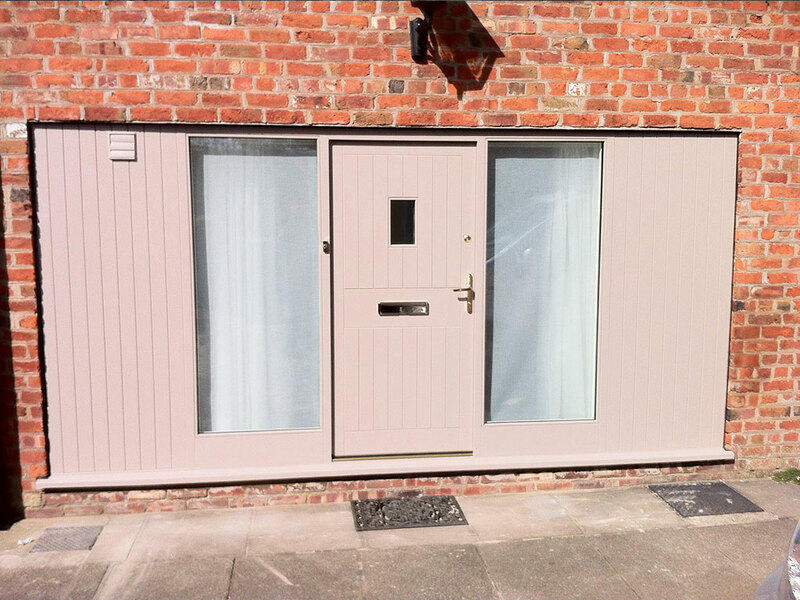 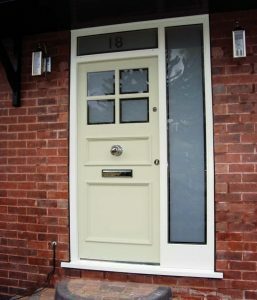 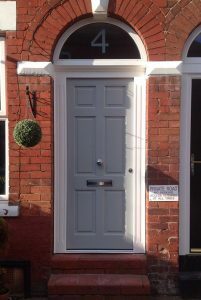 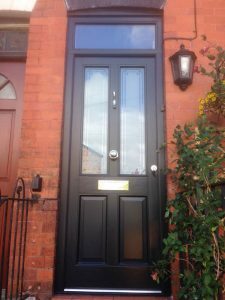 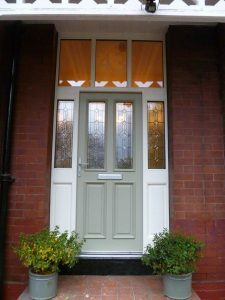 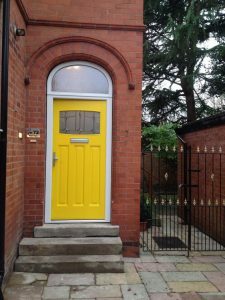 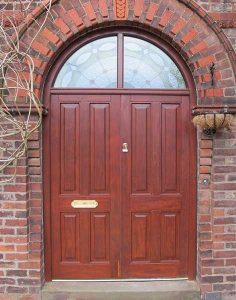 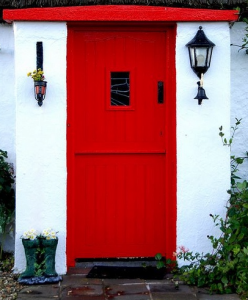 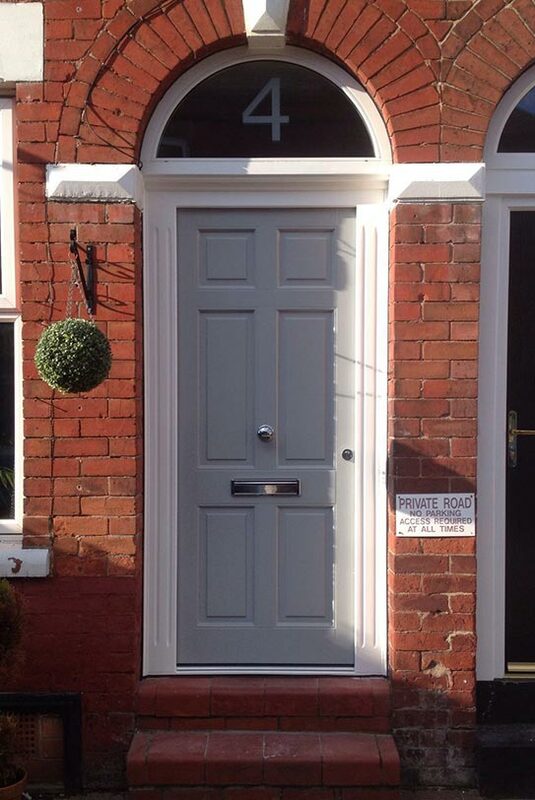 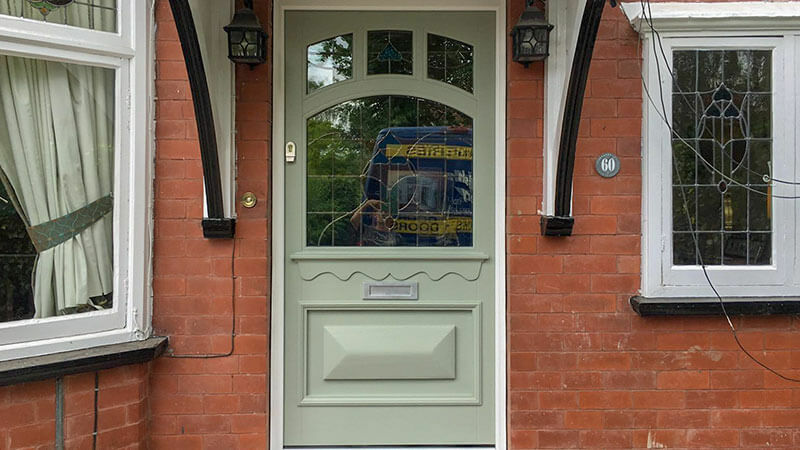 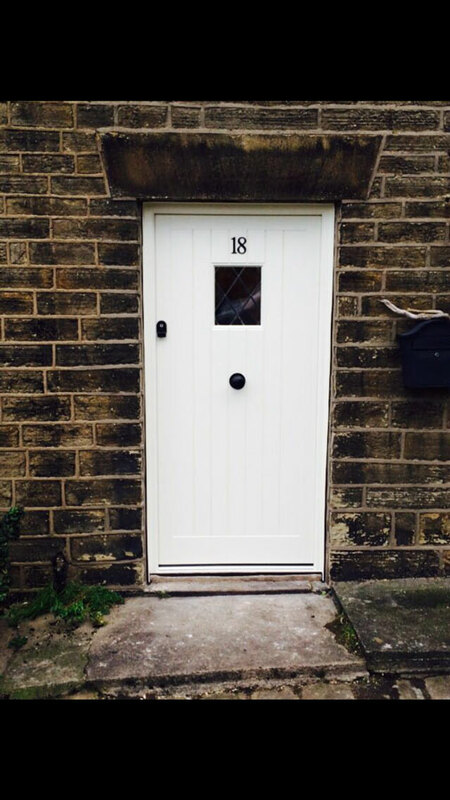 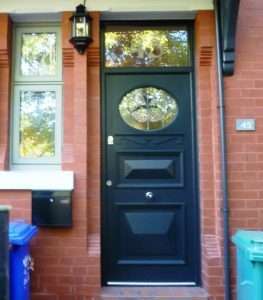 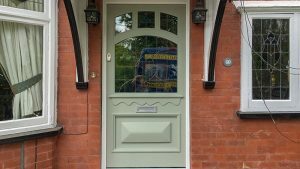 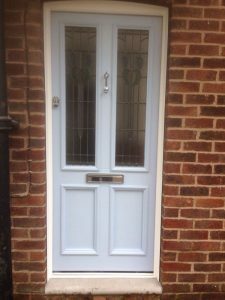 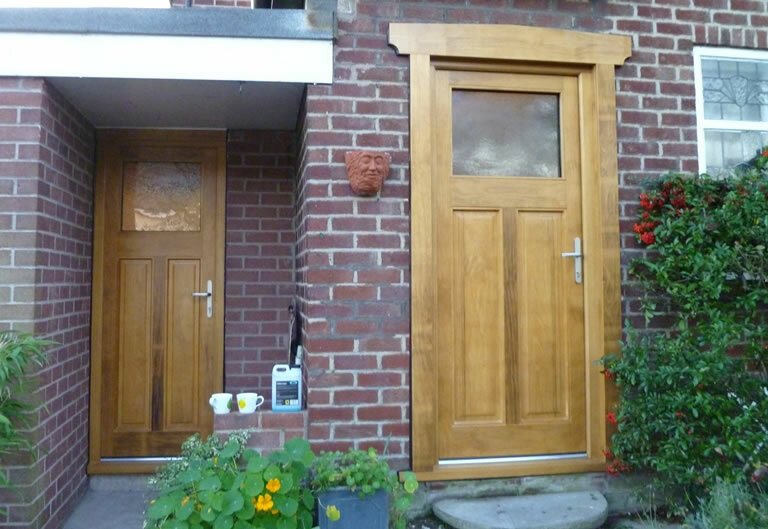 Ideal for period homes, our timber doors are suitable for old wooden door replacement or to create a traditional style for more modern homes which might have a uPVC door. 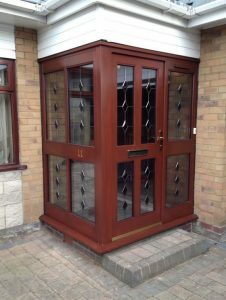 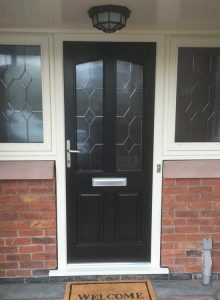 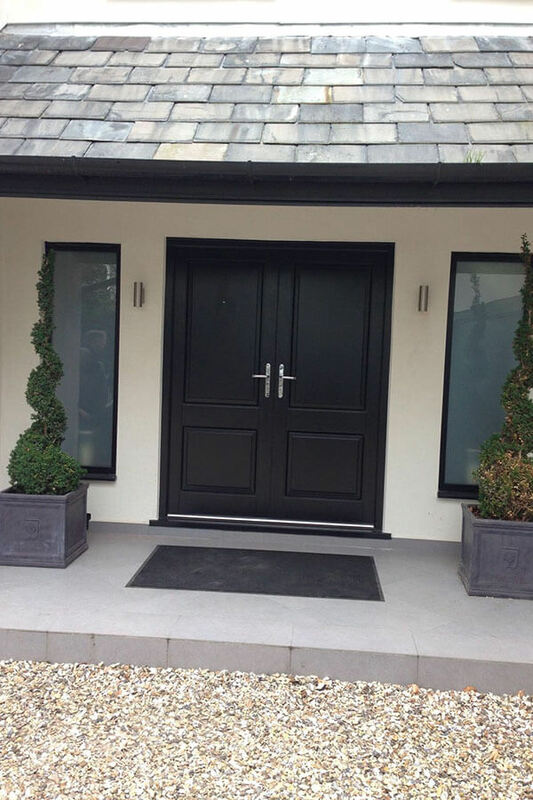 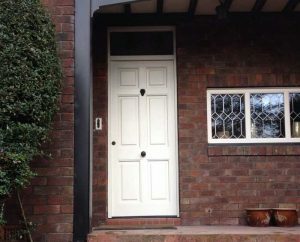 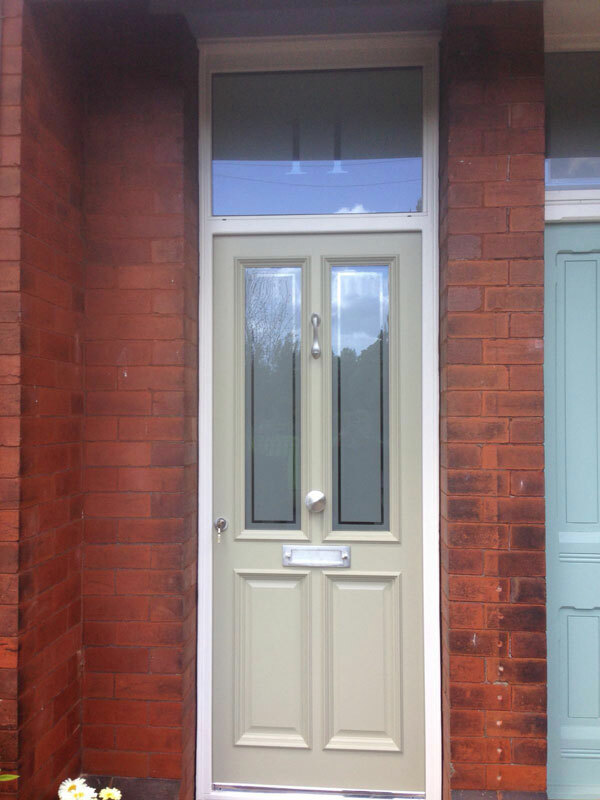 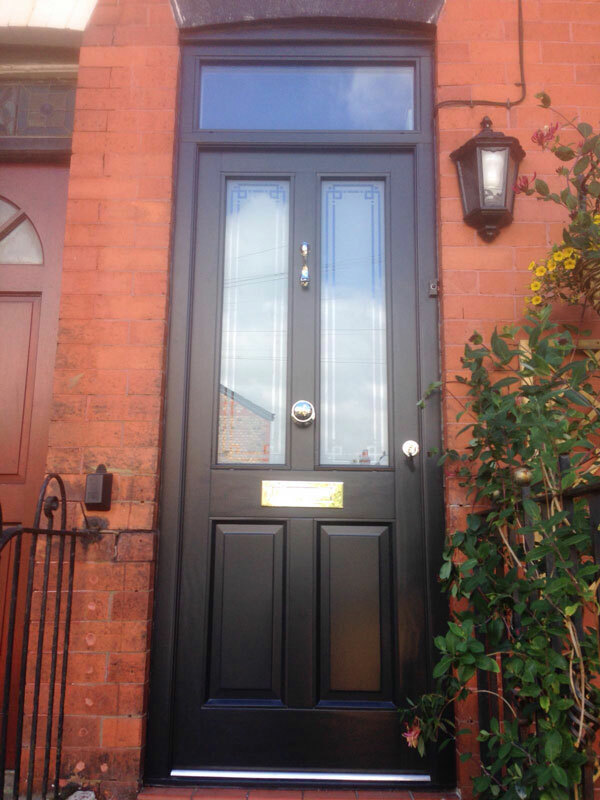 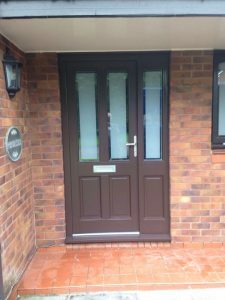 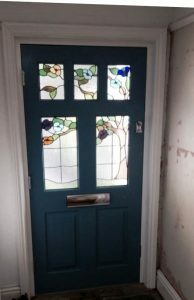 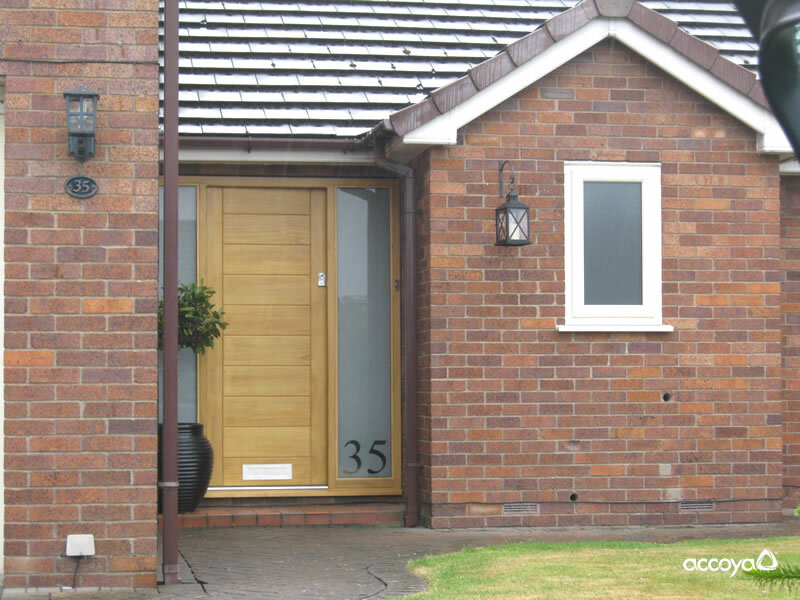 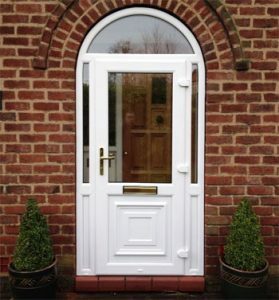 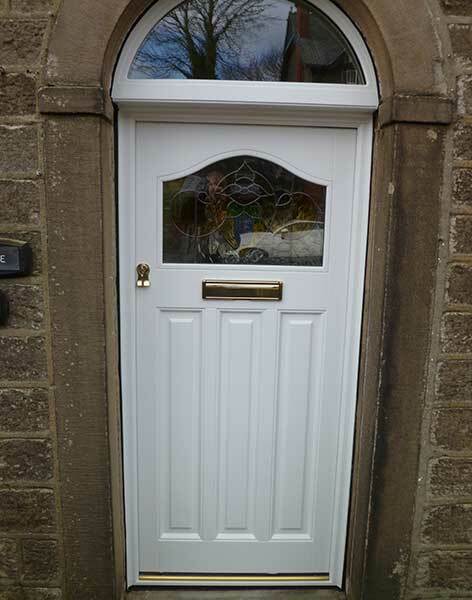 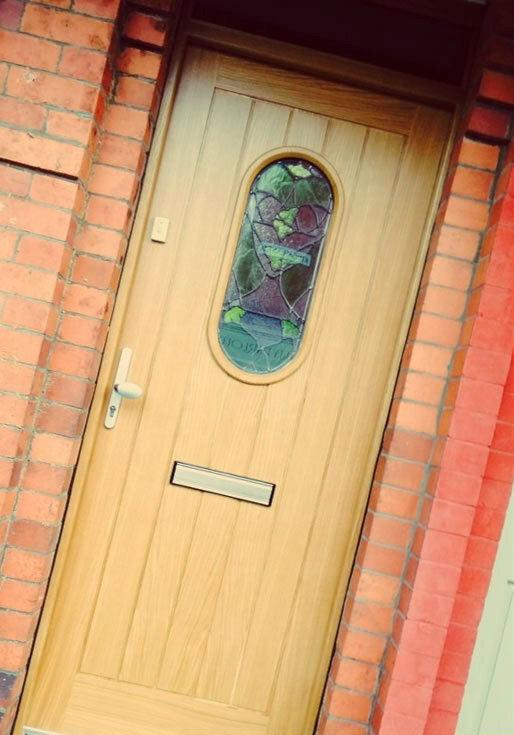 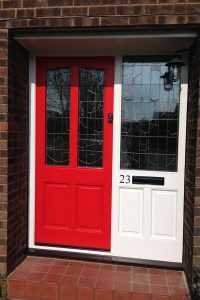 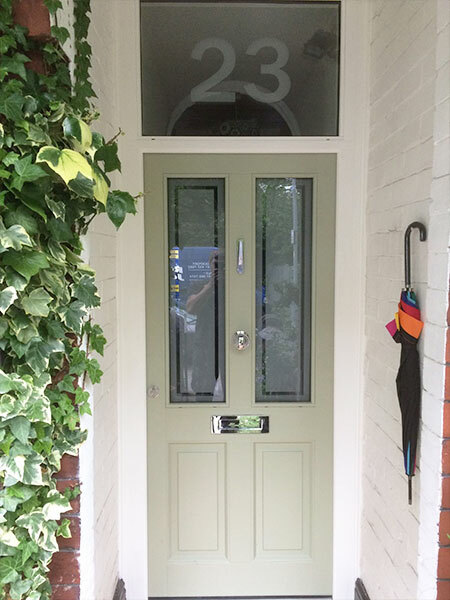 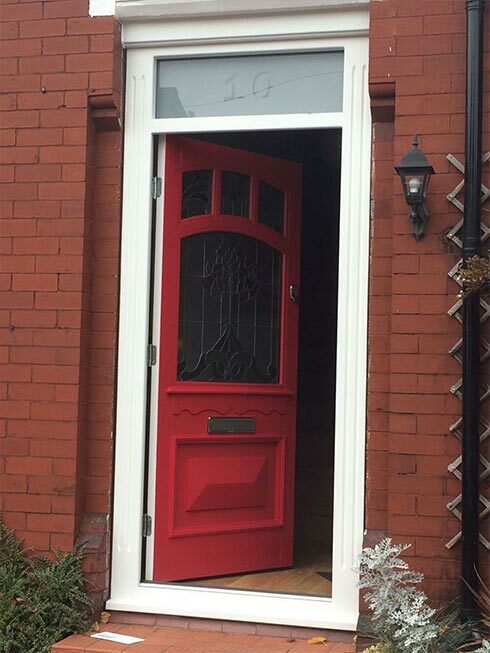 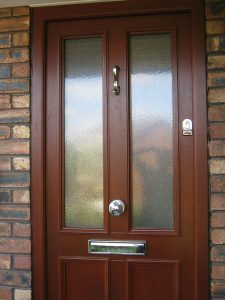 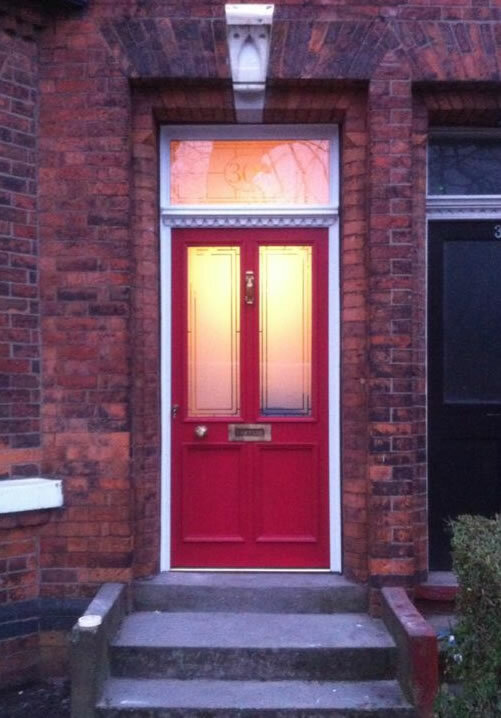 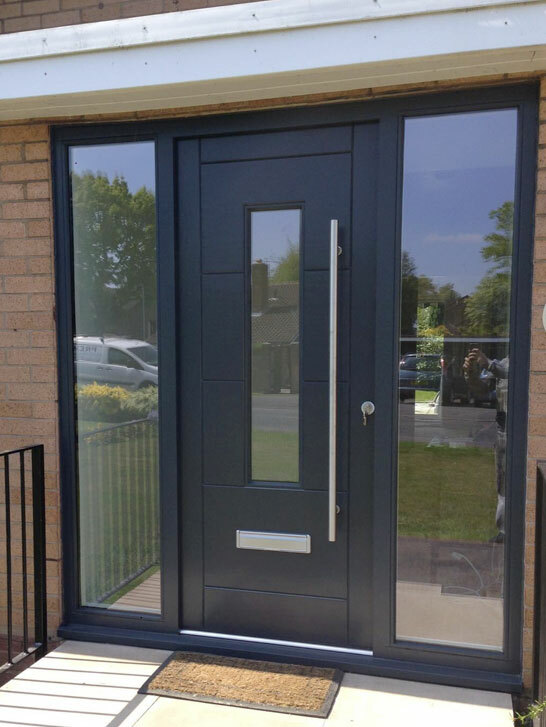 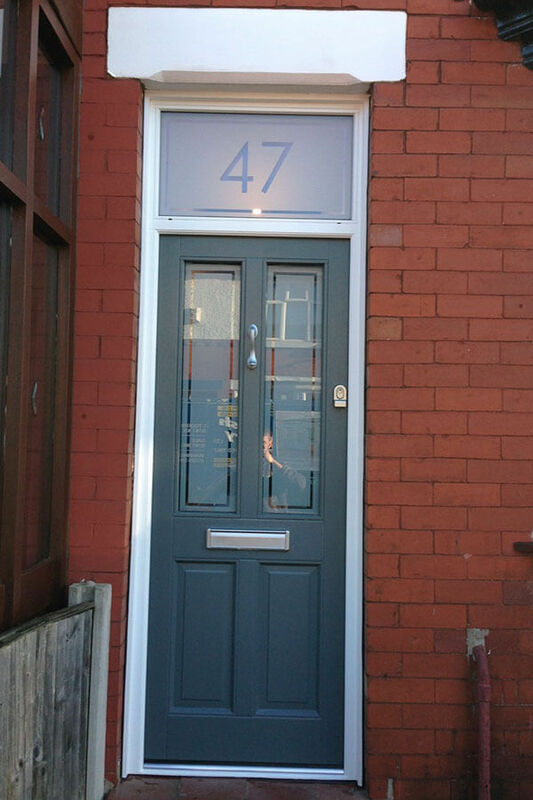 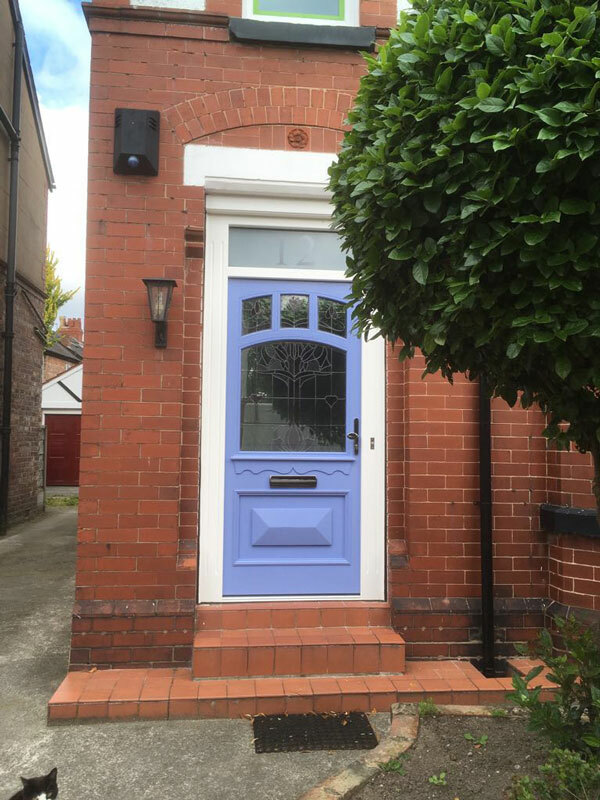 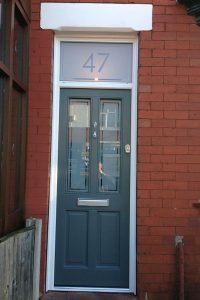 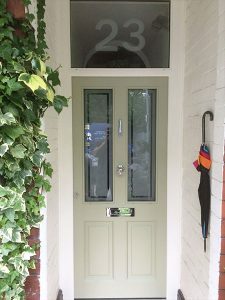 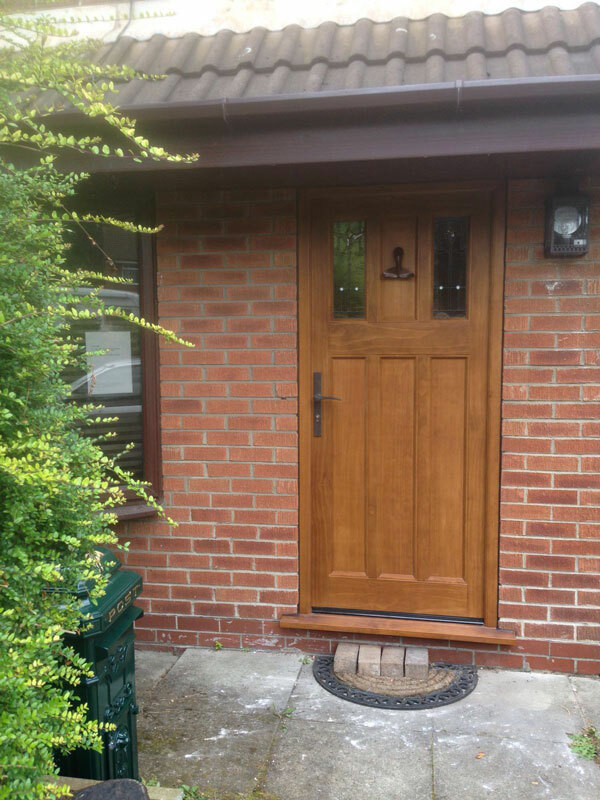 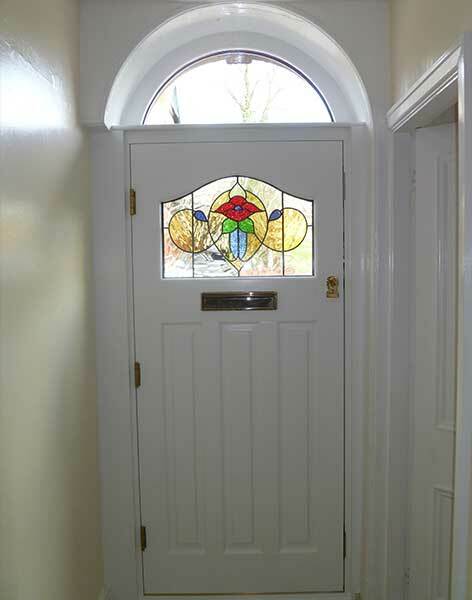 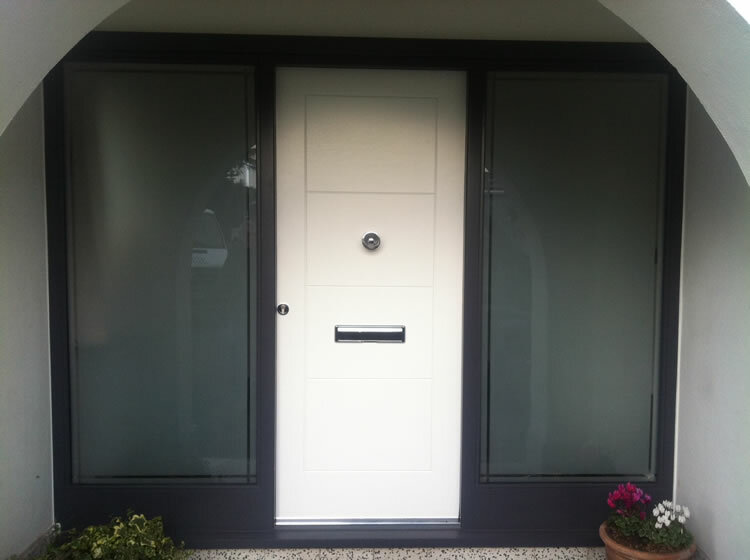 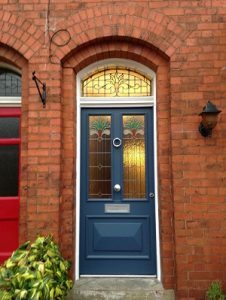 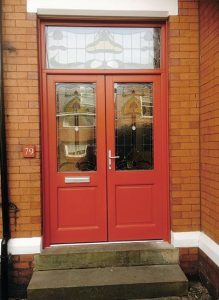 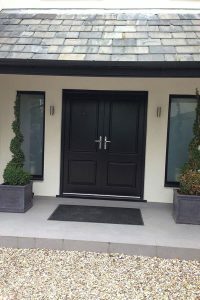 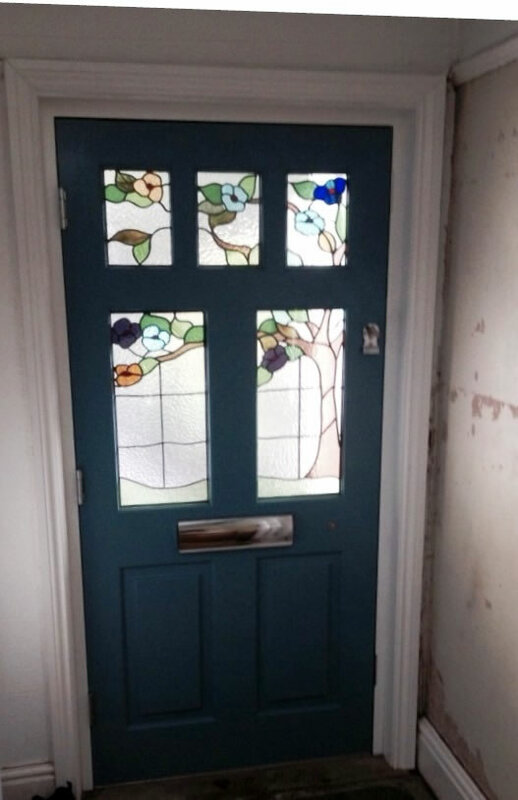 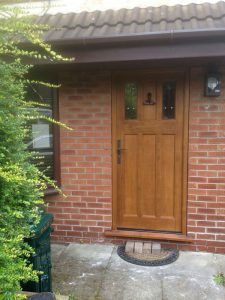 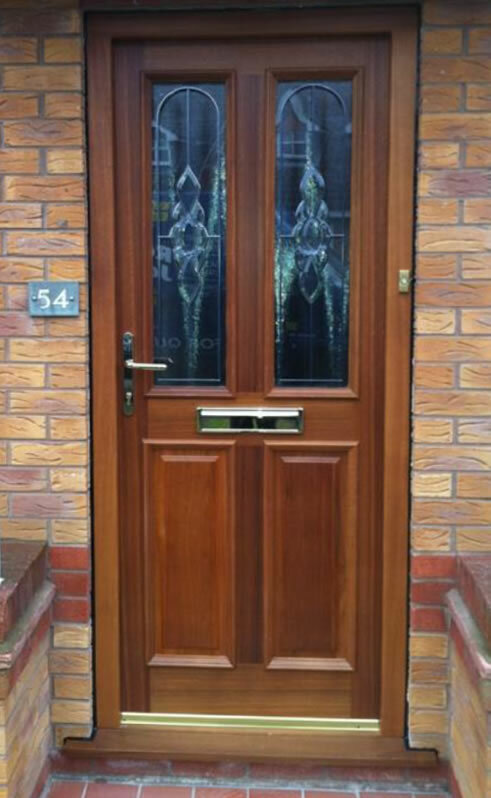 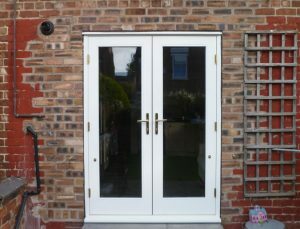 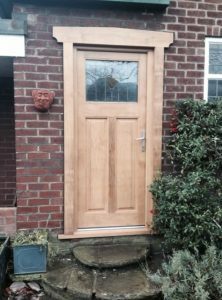 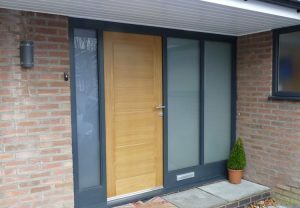 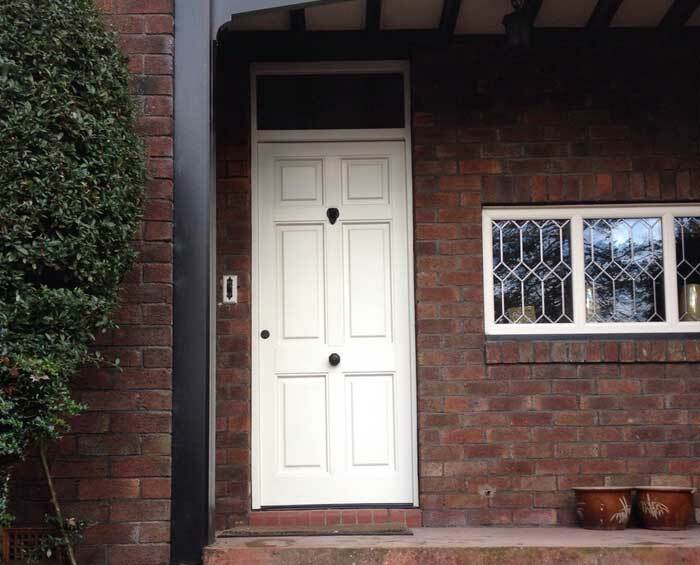 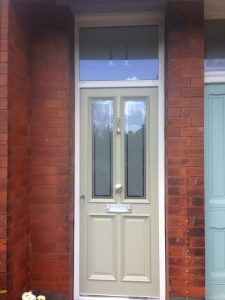 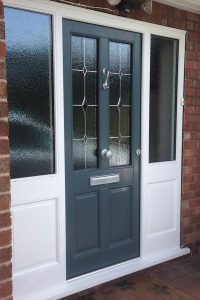 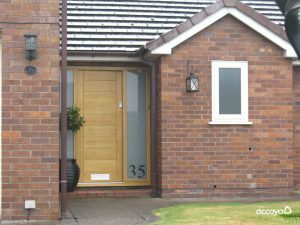 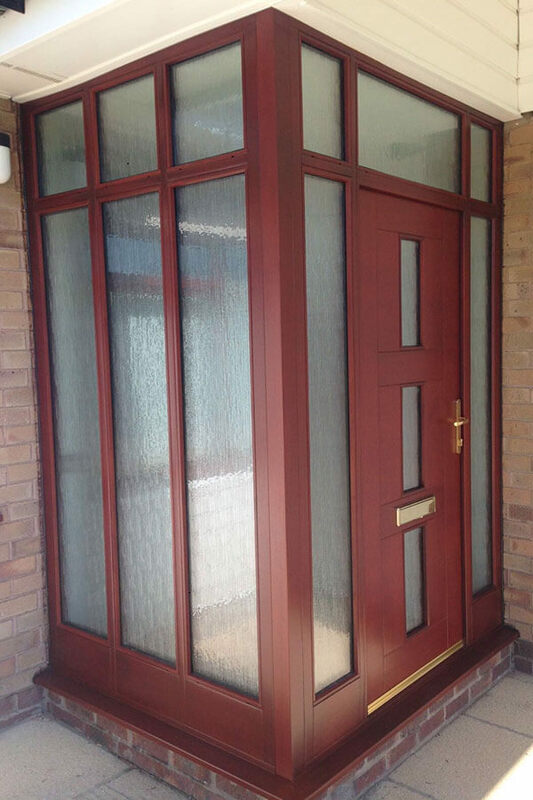 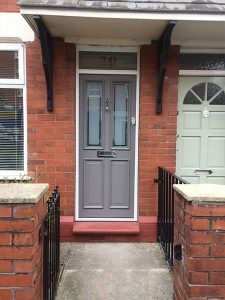 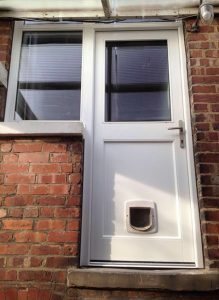 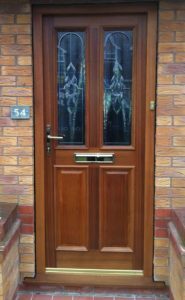 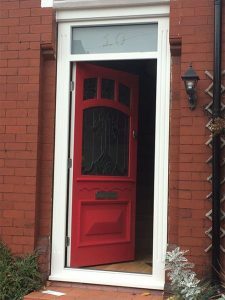 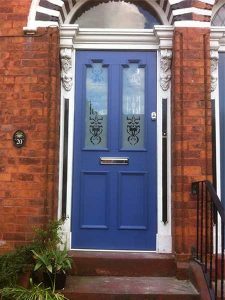 As with our uPVC styles, hardwood front doors can be installed as a solid slab or with decorative glass panels as an eye-catching addition to your new entrance. 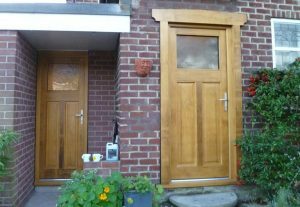 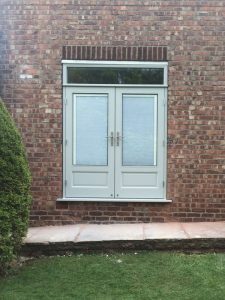 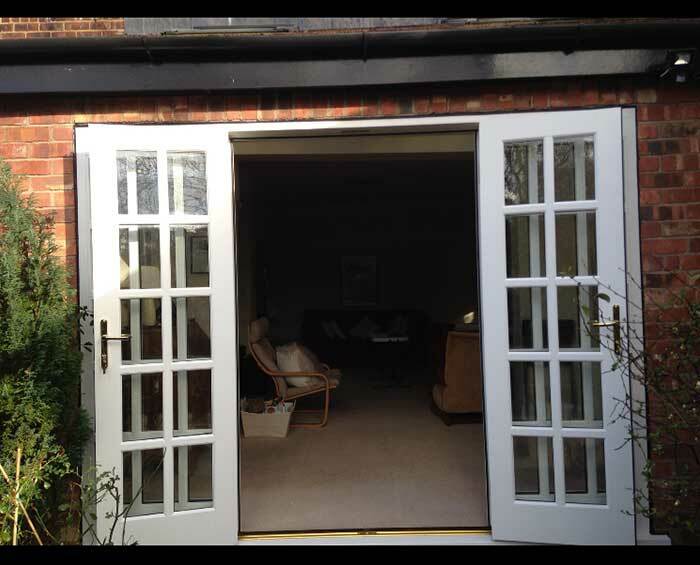 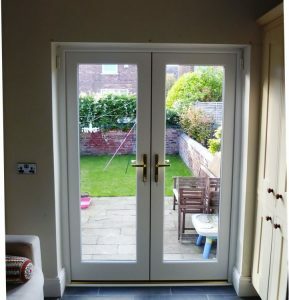 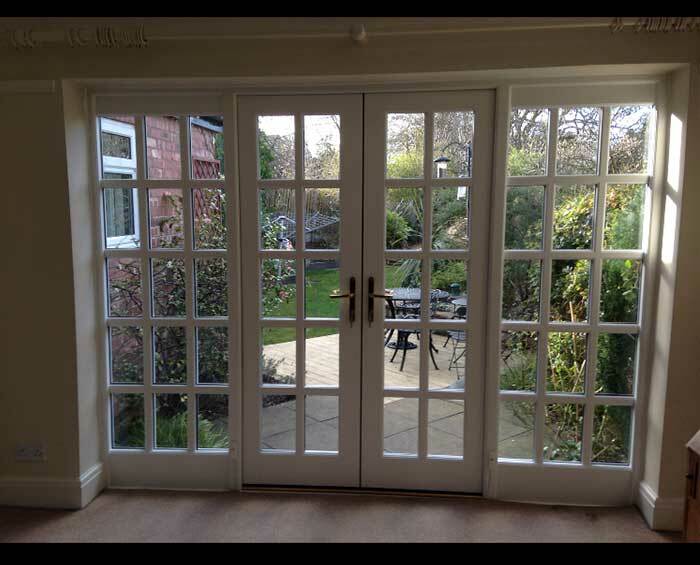 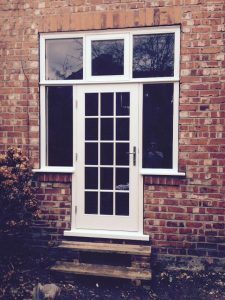 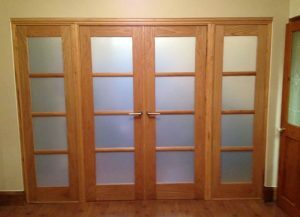 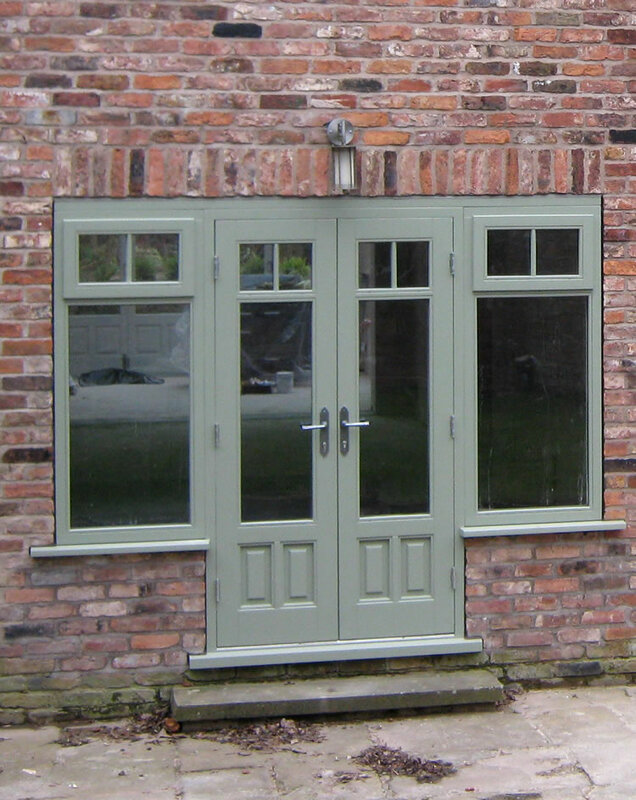 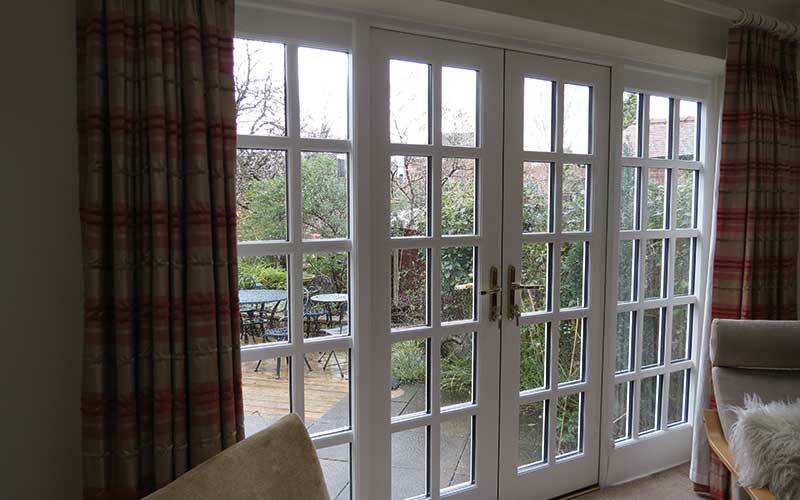 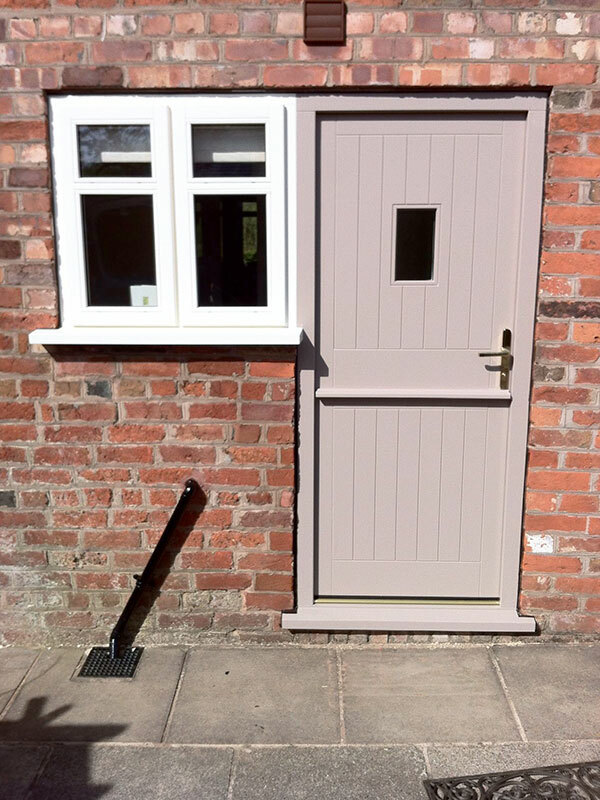 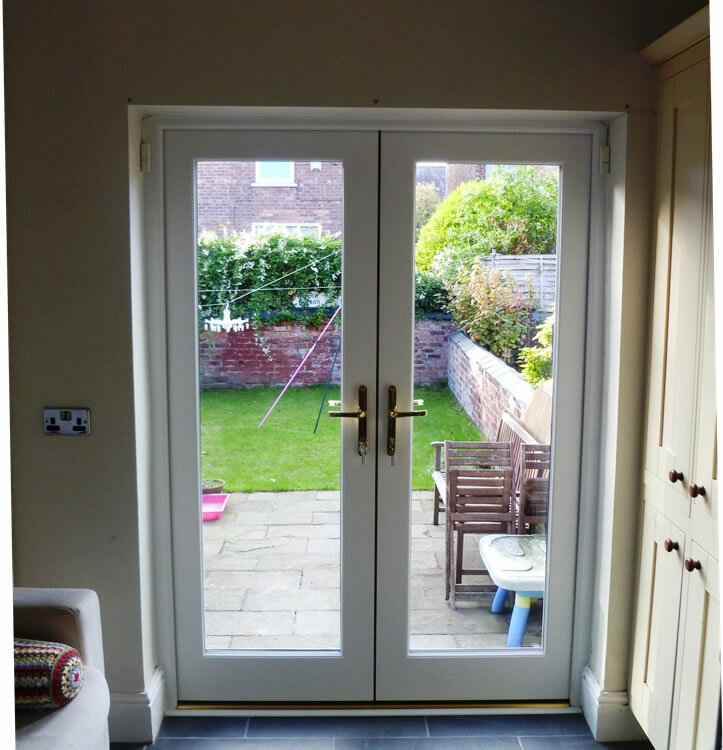 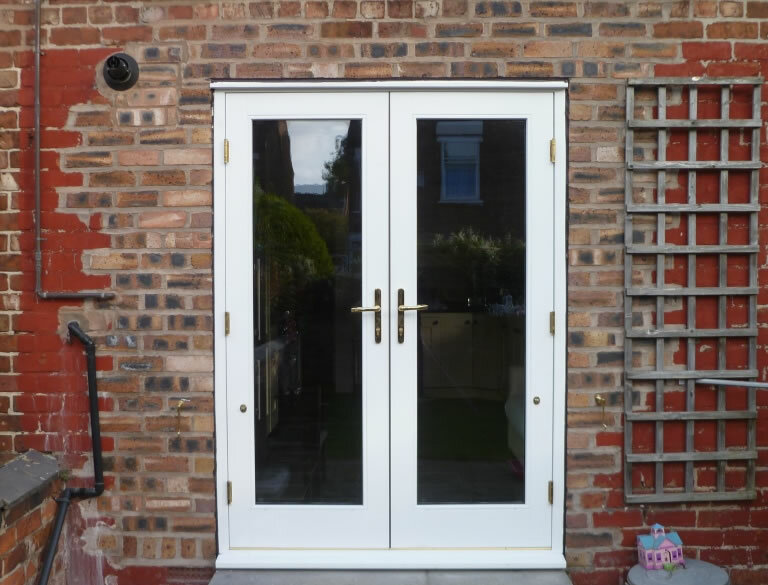 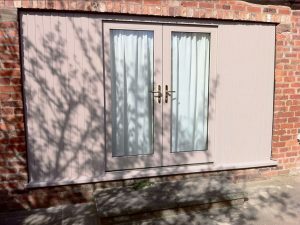 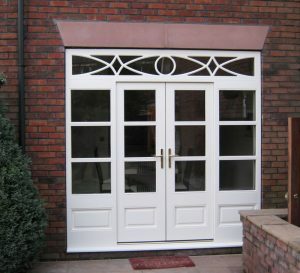 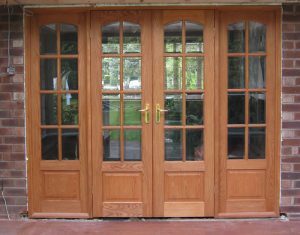 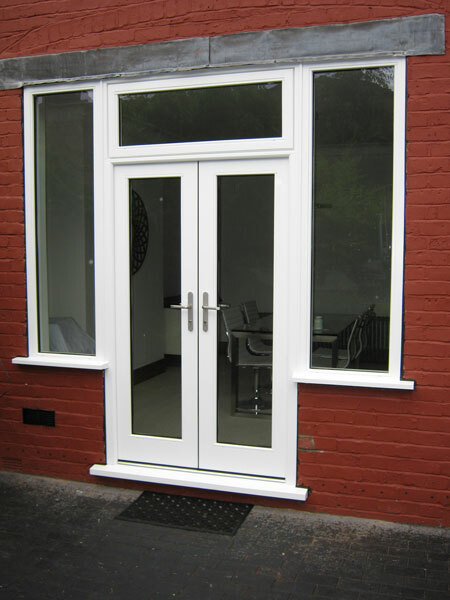 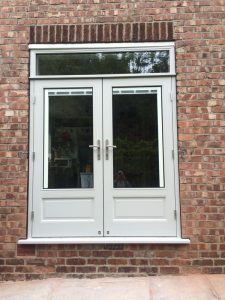 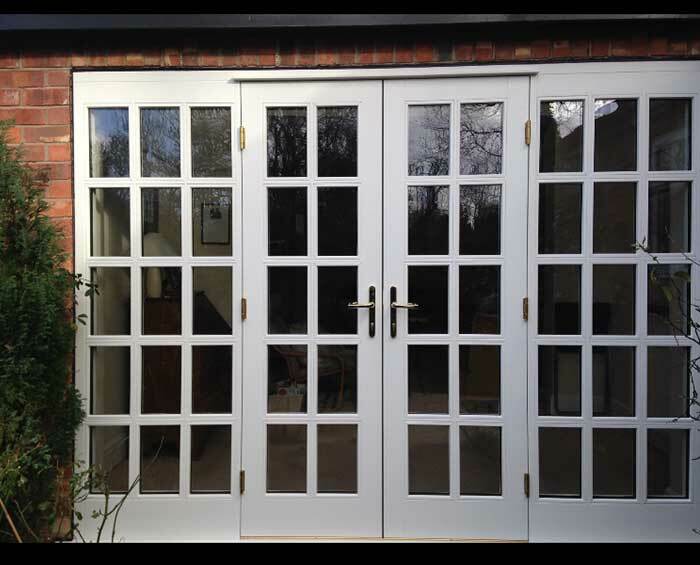 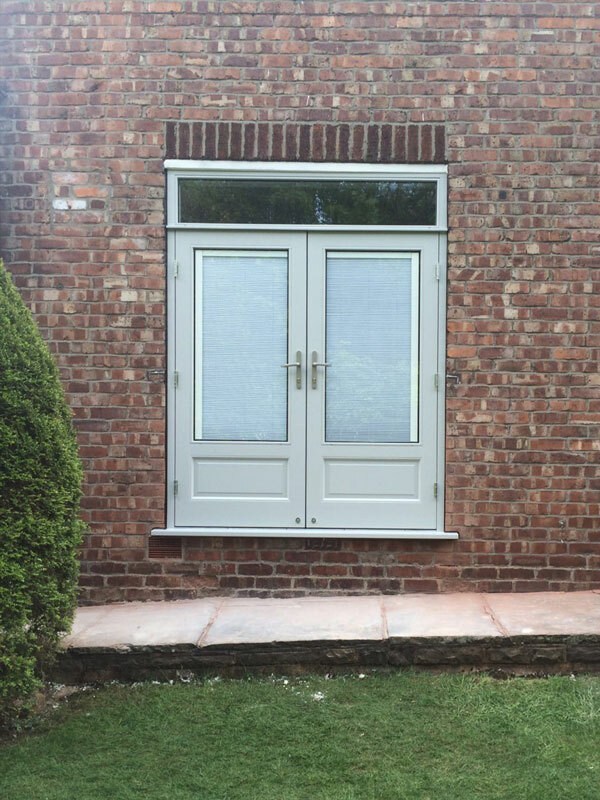 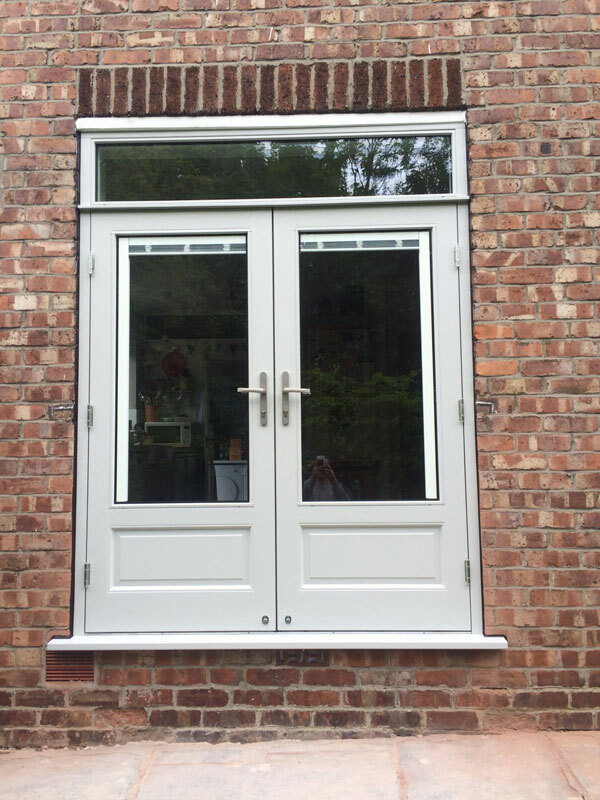 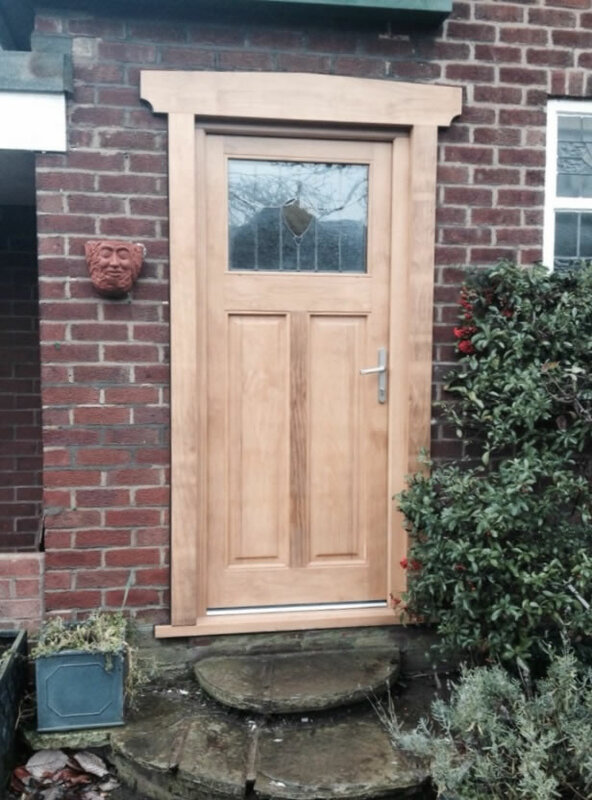 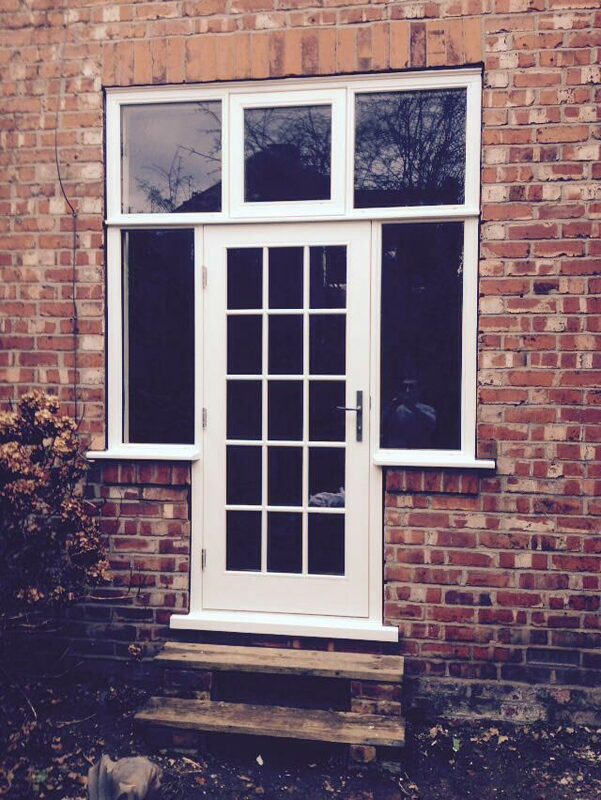 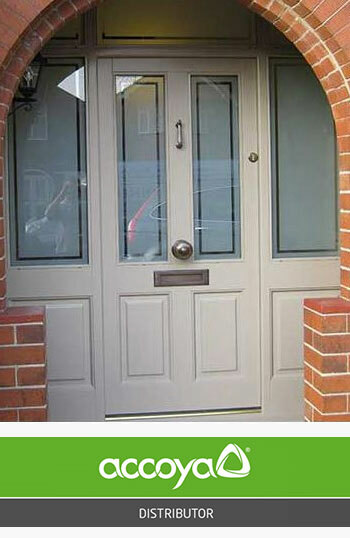 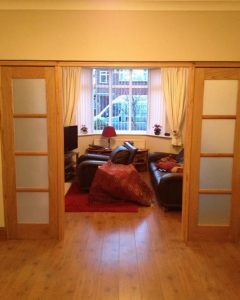 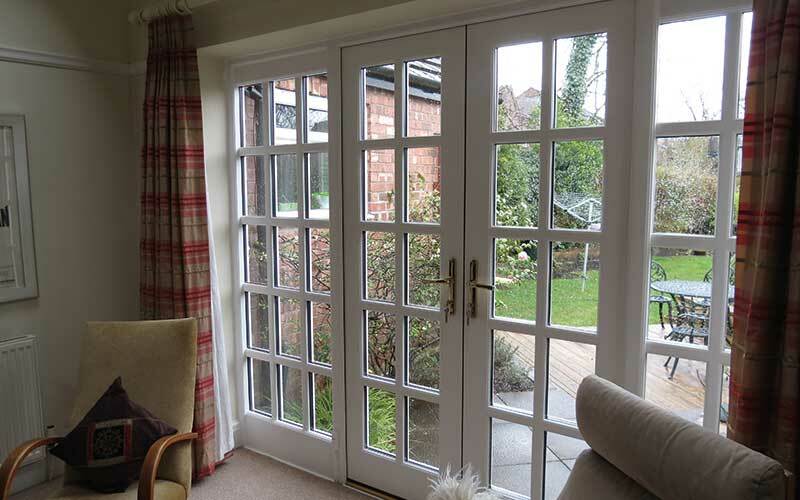 Alongside our hardwood entrance doors we also offer timber French and patio doors. 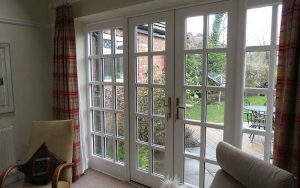 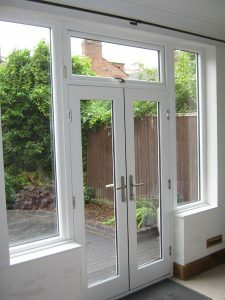 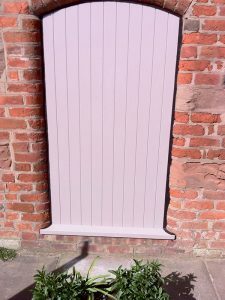 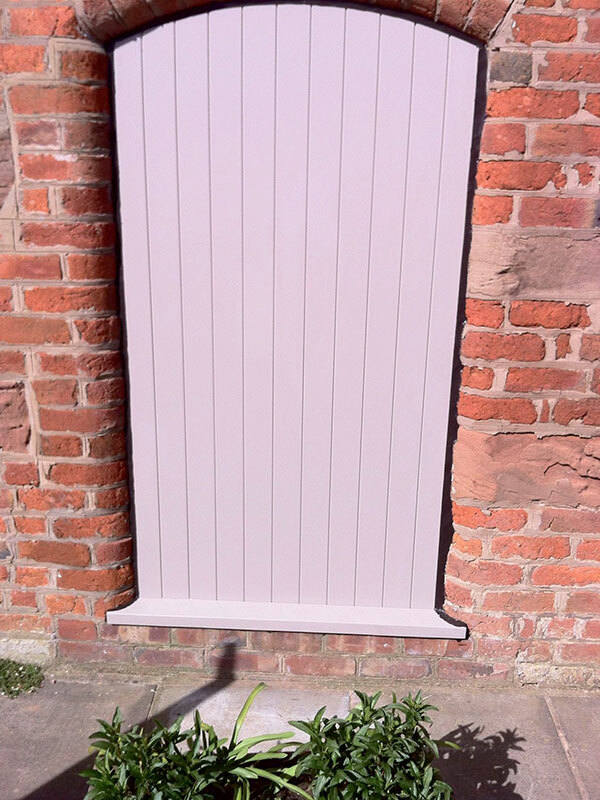 These look great opening out onto a garden or terrace and can even be used in conservatory and orangery installations. 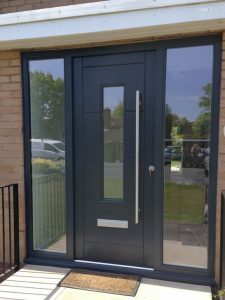 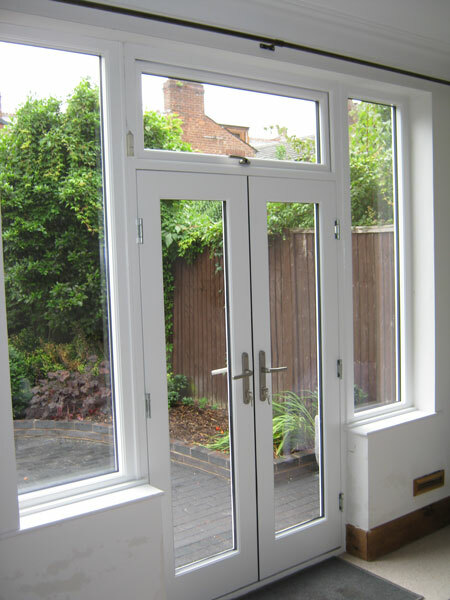 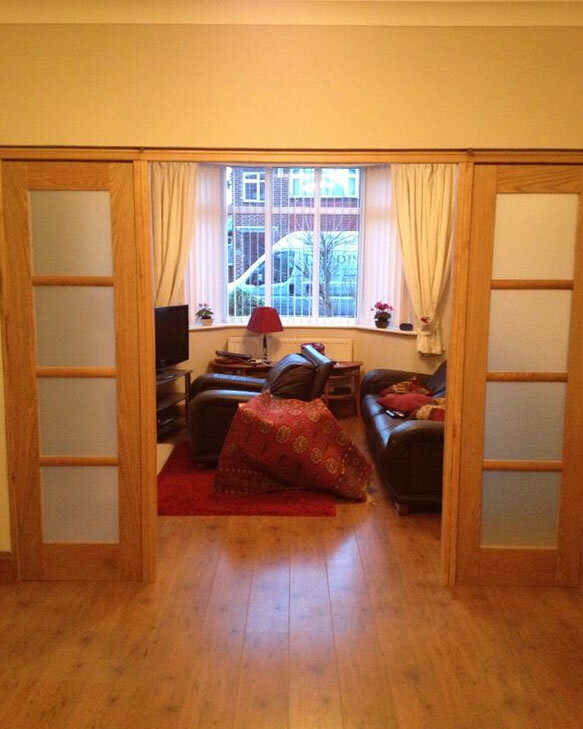 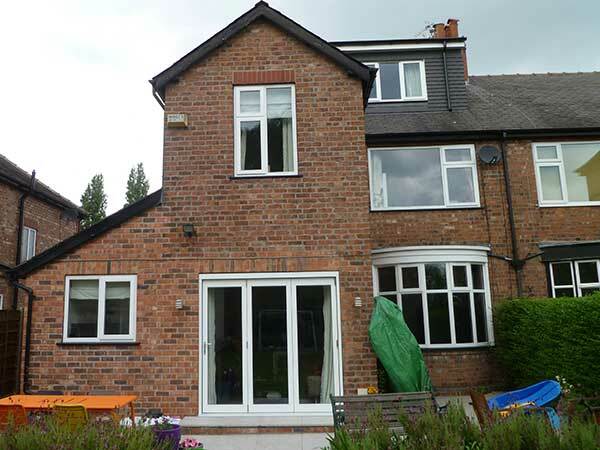 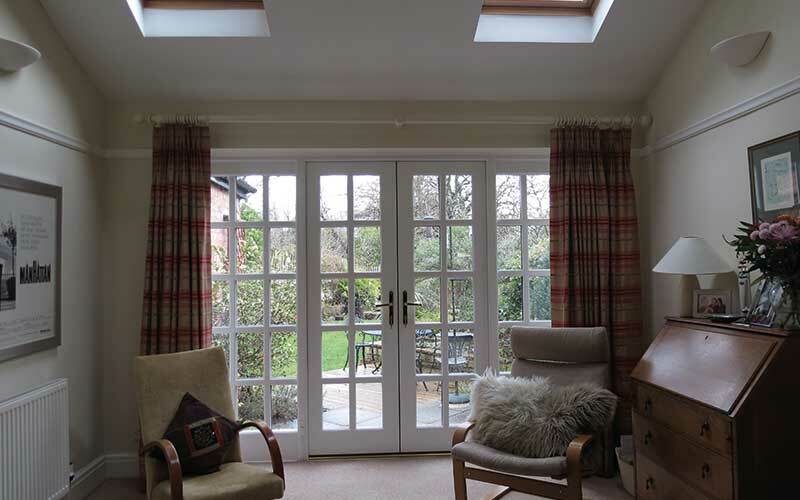 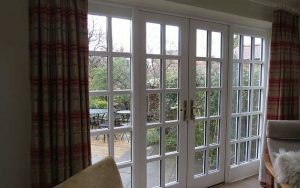 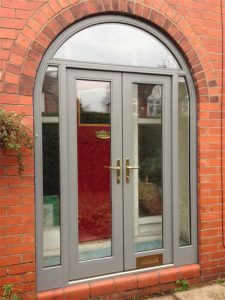 We use Pilkington glass in our doors which is designed to reduce noise and improve your home’s thermal insulation so you can relax in a quieter, more comfortable environment. 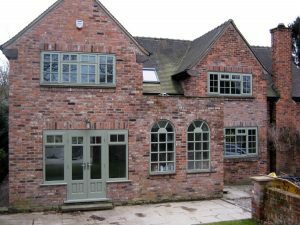 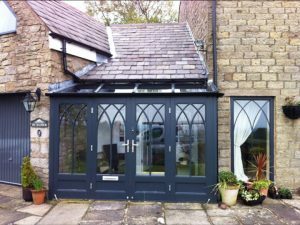 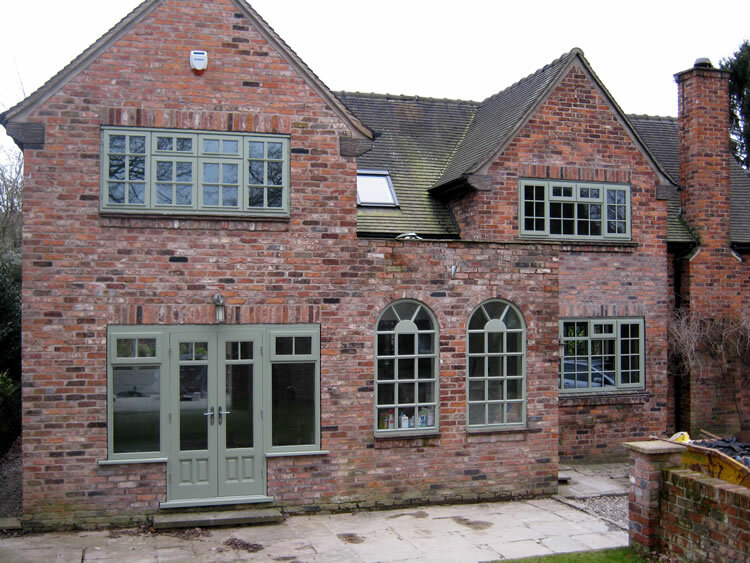 The paint used during our finishing process is specifically designed for external timber window and door use. 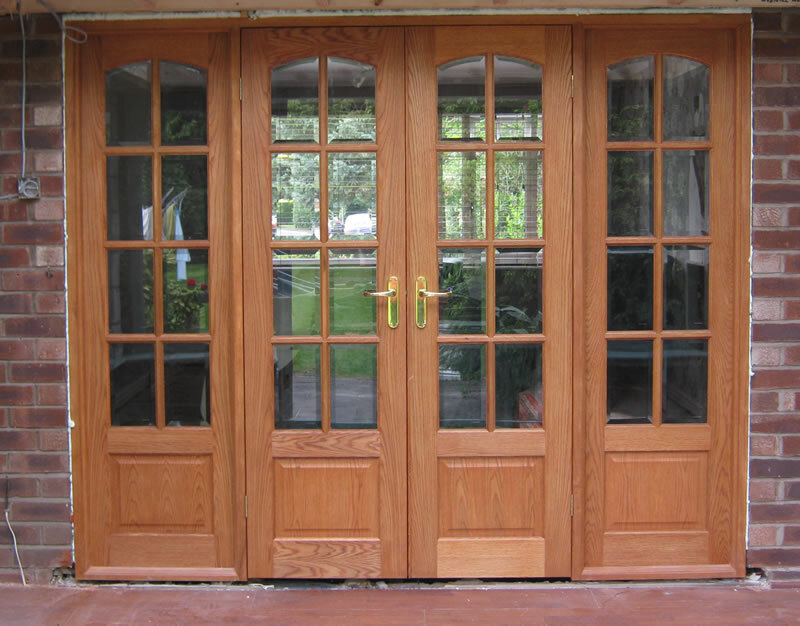 It allows the wood to breathe whilst reducing problems such as cracking and peeling which can occur in heat and cold. 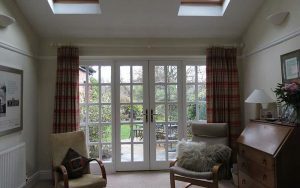 Colours span from monotones and greys, through to soft pastel shades and more vibrant brights. 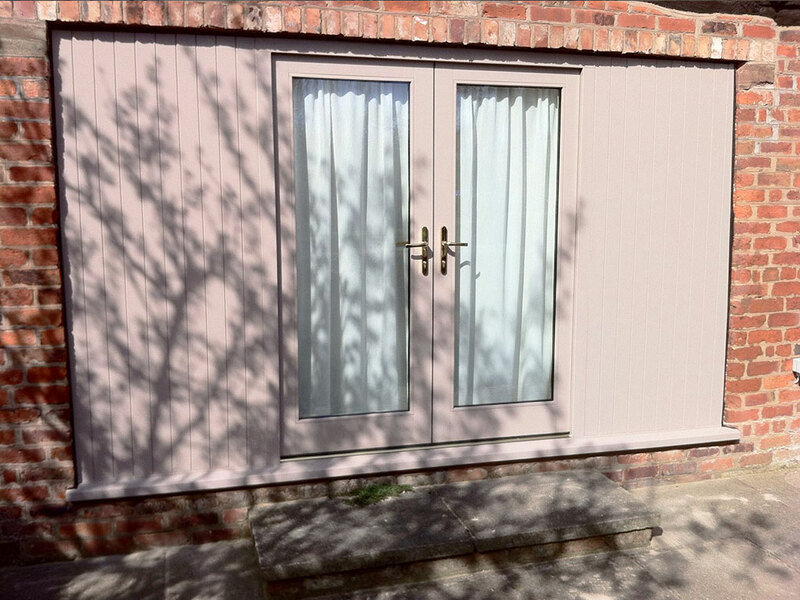 Whatever look you’re going for, we have the right shade for you. 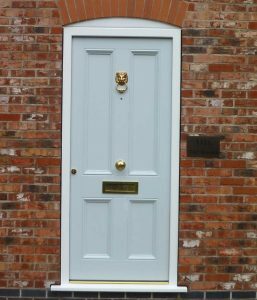 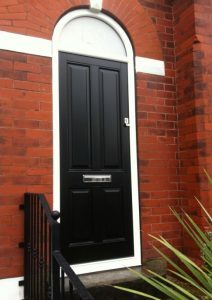 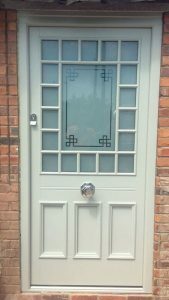 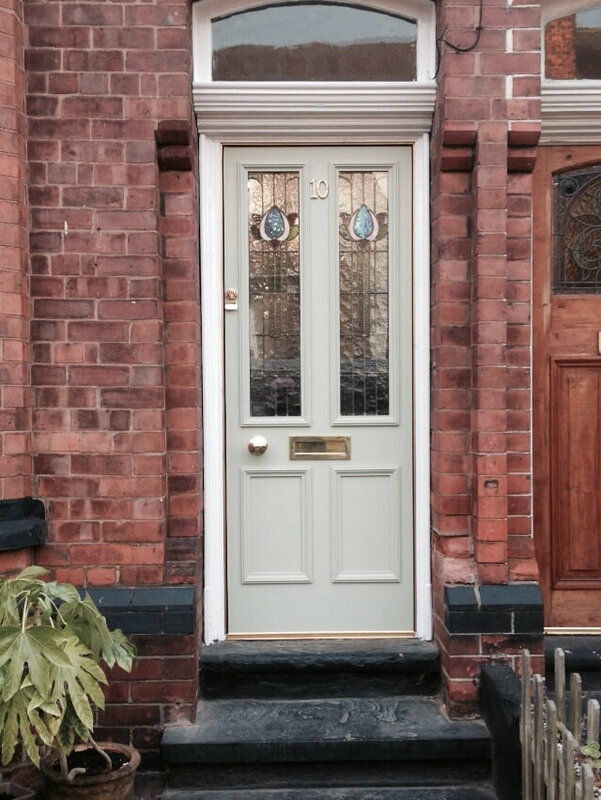 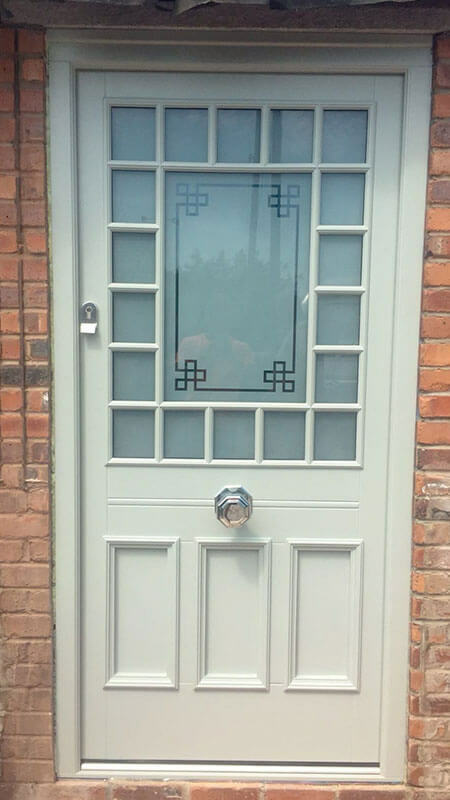 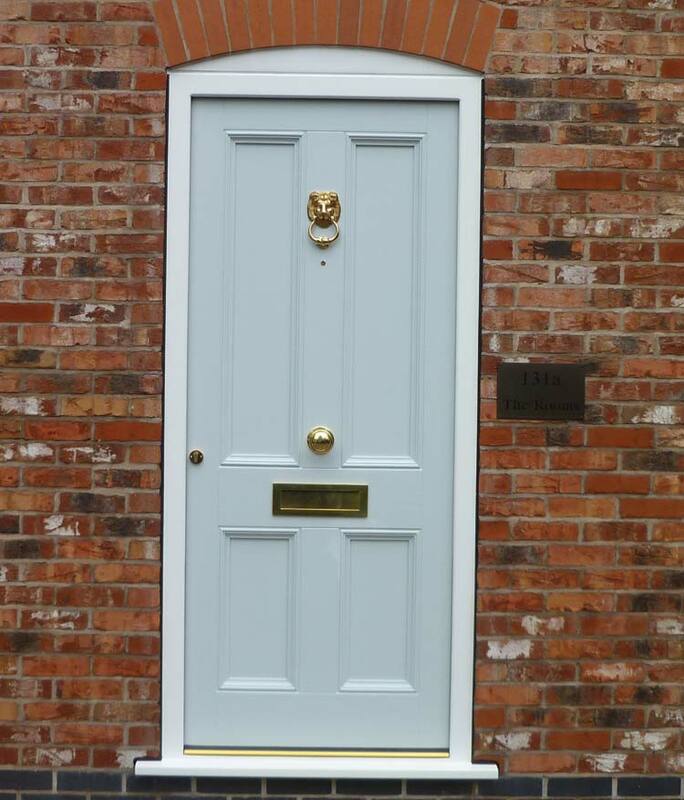 To complete the look we offer a range of hardware, including traditional style handles and knockers.